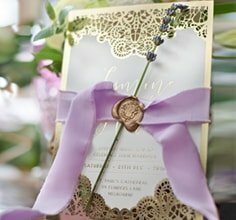 This stunning wedding invitation design takes inspiration from the Victorian era where romance and refined elegance flows effortlessly. 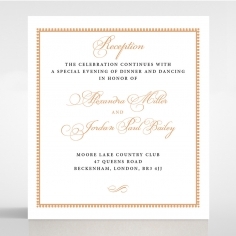 You will surely be captured by the golden luster of this gatefold invite featuring intricately laser cut ornate swirls and vectors that reveal an inner card in cerulean shimmer pop and glistening golden borders. 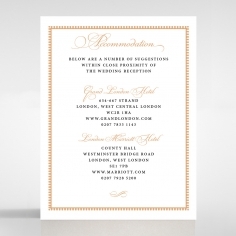 This opulent depiction features a customisable logo or monogram, wording and font style. 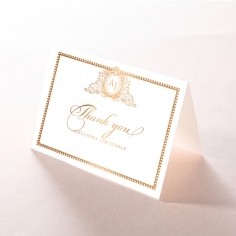 This gorgeous ensemble is well kept in a silken white envelope with silver inner lining. 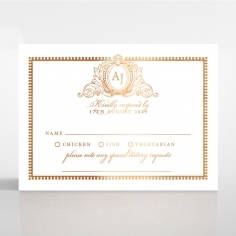 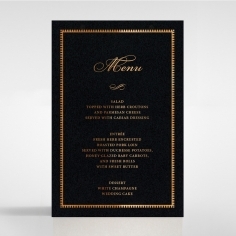 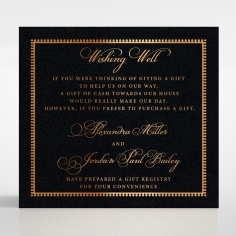 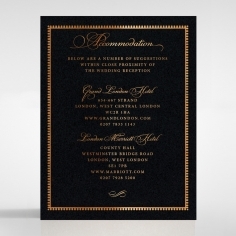 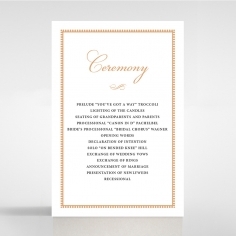 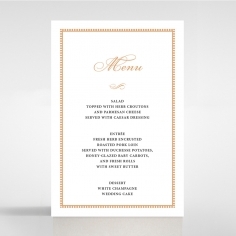 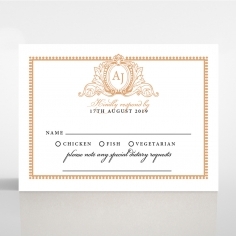 A quintessentially timeless and elegant invitation, perfect for a lavish celebration. We got a sample of these invites for our wedding they were even better than what they had looked on the website. 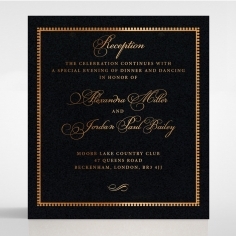 The lace detail was beautiful and elegant and the quality of the invites was amazing. 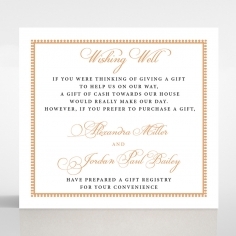 The perfect wedding invitations for our special day. 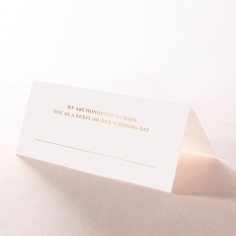 We ordered about five samples and all were of high quality and design. 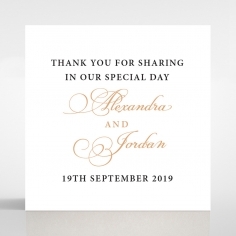 They came quickly and we will be ordering these for our wedding! 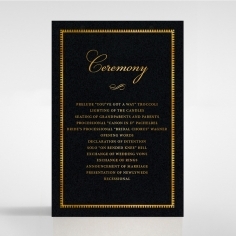 Thank you Giant Invitations for all your help and great quality. 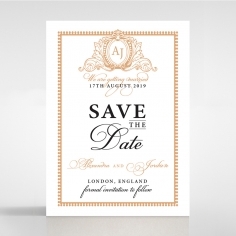 I love this invitation design, My fiance and I are going with a Regal theme and this invitation is perfect and so pretty. 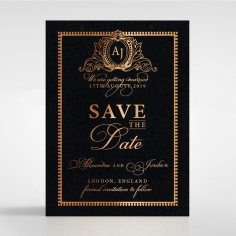 We love it so much we are ordering the Save the Dates to match. 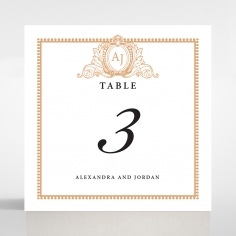 The finite detail such as the monogram and bordering really make this invitation pop and our guests can put this on the fridge be reminded of the upcoming wedding and it look great from distance rather than just an envelope.